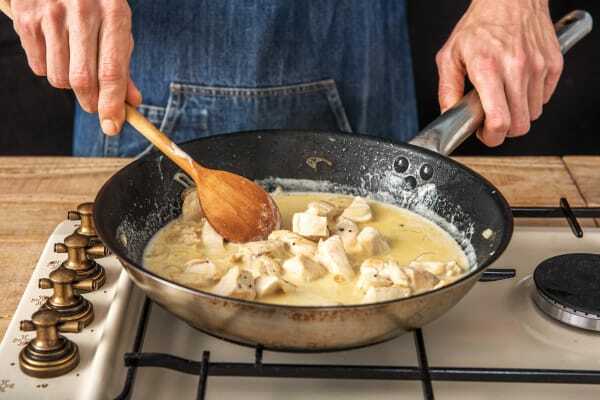 Our chefs have been creating recipes for a while now and one thing they’ve learnt along the way is that creamy chicken and tarragon are a classic flavour combination our customers absolutely love. 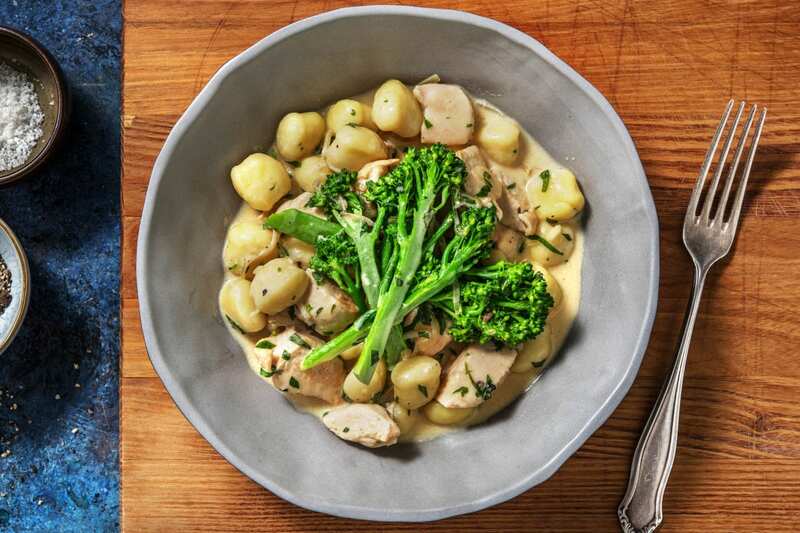 In this 15-minute recipe, we’ve combined creamy tarragon chicken with gnocchi and tenderstem broccoli for a warm and comforting recipe that really hits the spot. 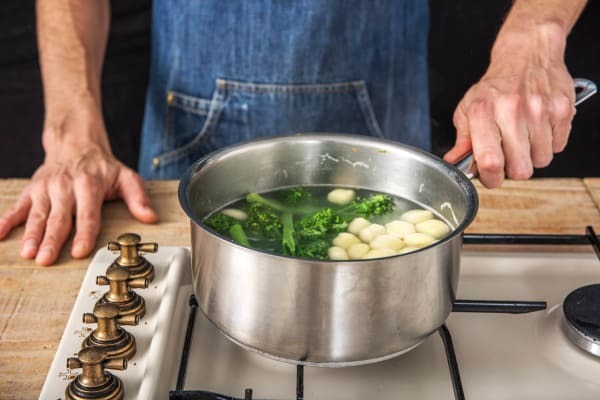 a) Fill a large saucepan with the boiling water from your kettle and pop onto high heat to bring it back to the boil. 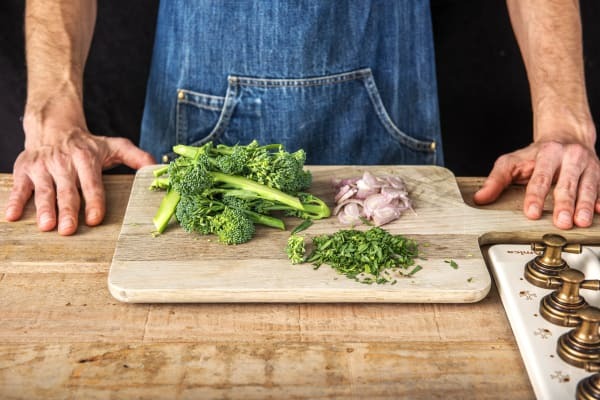 b) Add the tenderstem®, gnocchi (see ingredient list) and a pinch of salt to the pan. c) Boil for 3-4 mins, then drain into a colander. a) While the gnocchi cooks, heat a splash of oil in a frying pan over medium-high heat. 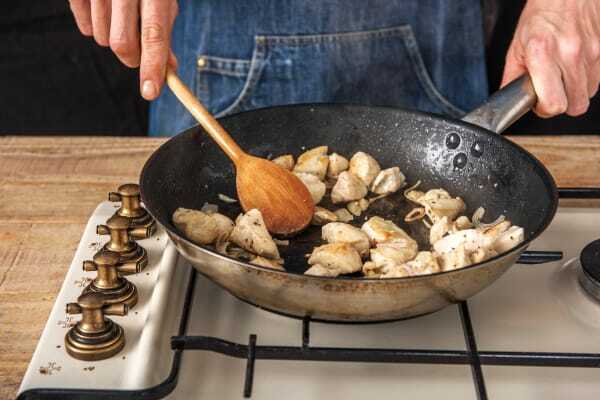 b) When the pan is hot, add the diced chicken, season with salt and pepper. c) Stir-fry until brown all over, 5-6 mins. a) Add the shallot to the pan with the chicken. Stir and cook until softened, 3 mins. b) Continue cooking until the chicken done, another 2 mins. 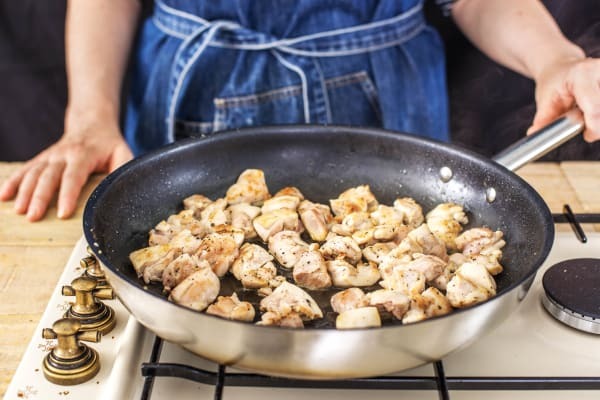 c) IMPORTANT: The chicken is cooked when it is no longer pink in the middle. a) Once the chicken is cooked and the shallot soft, add the water (see ingredients for amount). b) Stir in the stock powder and bring to the boil. c) Pour in the crème fraîche and bring back to the boil. Remove from the heat. 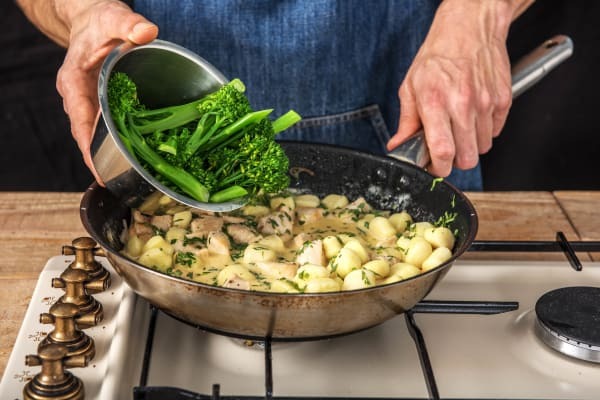 a) Add the drained gnocchi and tenderstem® to the chicken and sauce. b) Sprinkle on the tarragon and mix to coat the gnocchi. c) Season to taste with more salt and pepper. d) Share between your bowls and tuck in! Enjoy!